Summary of 2018, AGM, 2019 Preview, Spotlight on Ag, We're Hiring. You contributed to a successful year. The Lindsay Agricultural Society had a good 2018. Event bookings were up. Revenue from storage, rentals, kitchen food sales, LEX gate, advertising, and donations were up. Livestock, homecraft, and ag products entries were up. As well, we continued a streak of cashflow positive years. Come out to the Commonwell Mutual Exhibition Building on Thursday January 24th at 6:30 for the LAS AGM. 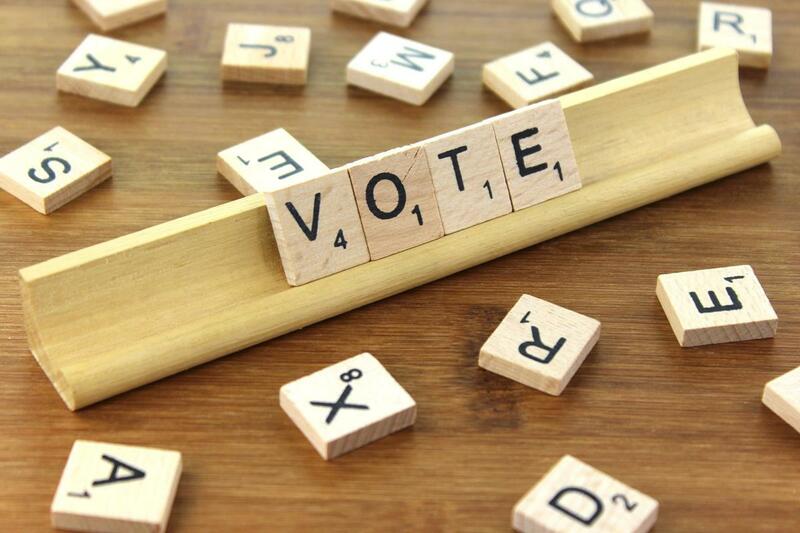 Hear presentations from your leaders, a summary of the audited financial results, and elect board members. The Area 3 Quarterhorse Promotional Club has moved their 3 Quarterhorse shows for 2019 to the Lindsay Exhibition Grounds. This represents 12 days of high level competition with competitors from across Ontario, Eastern Canada, and the North Eastern US. Watch for them on the 24th of May Weekend, Canada Day Weekend and the second weekend in August. 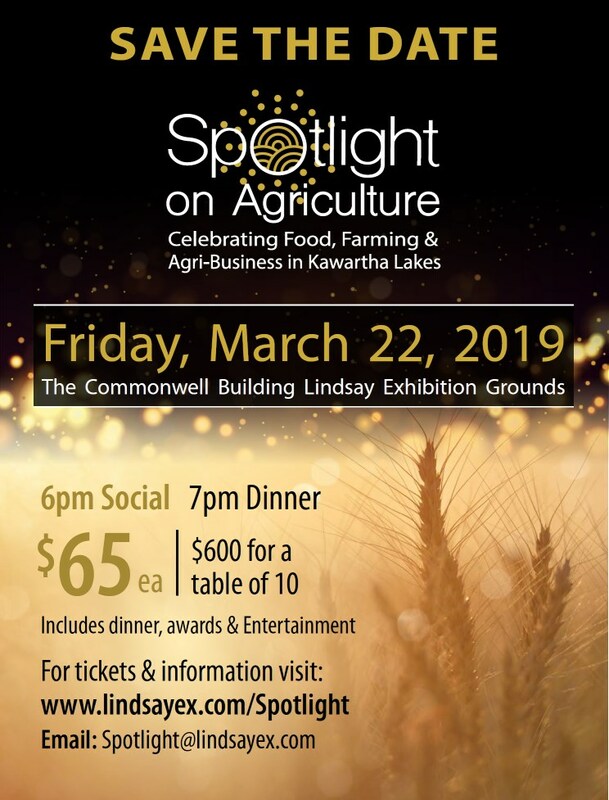 The Lindsay Agricultural Society is proud to present the first annual Spotlight on Agriculture - a collaborative social event to celebrate agricultural excellence and achievement across the City of Kawartha Lakes. This event will be held on Friday, March 22, 2019 in the Commonwell Exhibition building at the Lindsay Exhibition grounds. This gala evening will be a social event where local farmers and agri-business can enjoy an evening of good food and entertainment while recognizing and celebrating our accomplishments in the agri-food industry. With entertainment, awards, live and silent auctions and more, it’s sure to be an exciting evening. Tickets are available online and at the LEX Office. Nominations are open for two awards "Farm Family" and "Excellence in Agriculture". Visit the LEX website for all the details. Do you want to be part of the LEX Team? We have an opening for someone with knowledge of livestock competitions (preferably with experience with AssistExpo) and average computer skills. You would be the lead for working with the committees running each of the competitive parts of the LEX, creating the prize books, accepting entries, generating the show documents, and ensuring results are recorded. This is a part time position for most of the year but very busy in the weeks leading up to and following the LEX. If you're interested, forward your resume to the LEX office.